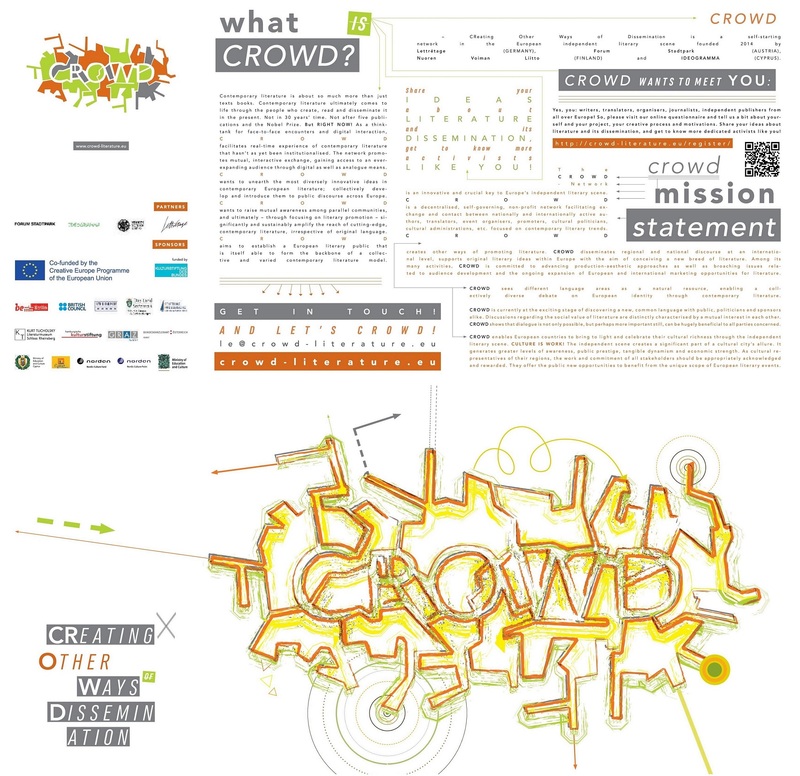 CROWD – CReating Other Ways of Dissemination is a self-starting network in the European independent literary scene founded by Lettrétage (Germany), Forum Stadtpark (Austria), Nuoren Voiman Liitto (Finland) and IDEOGRAMMA (Cyprus). Two partners joined CROWD in 2018 for planning of the continuation and development of the network, József Attila Kör (Hungary) and KROKODIL (Serbia). Composed of inspiring, independent literary activists, the network promotes mutual, interactive exchange, gaining access to a wide audience through digital as well as analogue means. Through CROWD, diverse, contemporary literary scenes across Europe will be discovered and further developed. JOIN the CROWD, check out the latest ACTIVITIES, download our FLYER and read what’s new in our MAG!